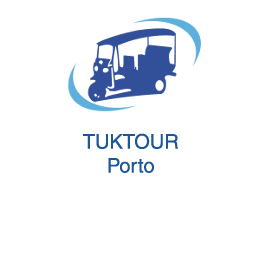 TUKTOUR PORTO has 6 electric vehicles, excellent support for promoting your brand of your products. Associate your name to a green product as it will maximize its benefits. 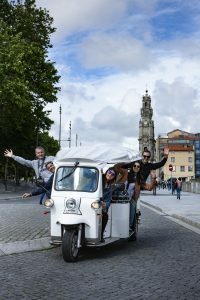 The our electric vehicles stroll every day in Porto, Vila Nova de Gaia and Matosinhos from 10h 24h. 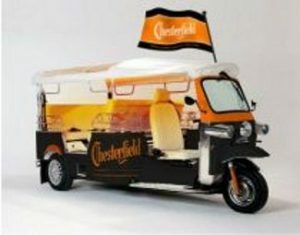 Each Tuk travels about 10,000 miles a year. 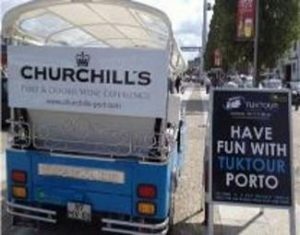 Tourism partners in Portugal, provide partners with the help of one of the advertising space available on our website we offer to promote a company, an institution and its product. The originality of our service, our positioning of screens, they will allow to expand their customers because our customers will be yours, with the cost of 850 € / year.